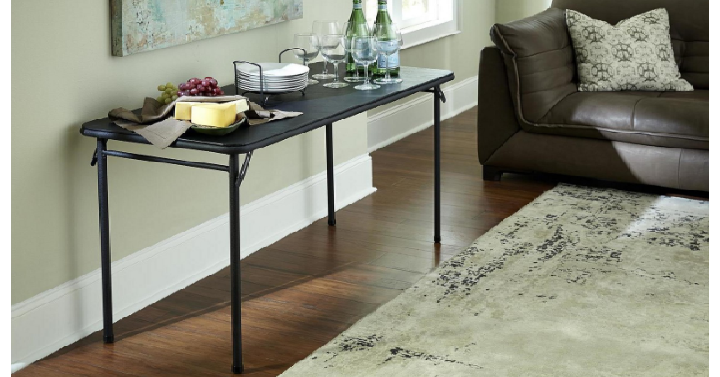 Cosco 20″ X 48″ Vinyl Top Folding Table Only $28.89! This would come in handy! Target has the Cosco 20″ X 48″ Vinyl Top Folding Table for only $28.89! This versatile piece saves space and time with table legs that fold in to make for easy storage. I love these for added room with company. Plus, use your Target REDcard to save an additional 5% off.